When is your Town Hall? Getting your Congressman to hold a town hall this week – and showing up big – is the action item this week! Below are some tips to help make it happen and make it a success! Last Wednesday we held a tele-town hall with Representatives Louie Gohmert from Texas and Tim Huelskamp from Kansas. They reminded us about the importance of showing up to the in-person town halls, and calling your Congressman’s office. We need to be able to get our message across face-to-face whenever possible. Here are some tips from local coordinators across the country. Answer is yes. If the Congressman is holding a town hall, get the information about where and when, and spread the word! Also let us know at Tea Party Patriots because we are compiling town hall information. And remember to take your camera and film it! Answer is no. If the Congressman isn’t holding a townhall, here are some tips from other grassroots coordinators on how to handle this situation. - Ask or demand. If your Rep. isn’t holding a town hall, at that point you can ask them to please hold one. You can try demanding that he/she hold one, but that doesn’t work with every Rep. You probably know the situation best, so if playing nice works best, do that. If playing tough works best, do that. - Schedule an appointment. See if you can schedule a personal appointment with a small group of your friends and the Rep.
- Crowd the office. Have dozens of people calling the local office and a handful of people showing up at the office together, all in the same day. You can call first to see if the Rep. is in the office if you’d like, and feel free to show up without an appointment. Make sure to bring a letter or something written with you, with your message on it, and make sure to be reasonable and polite. - Call them out publicly. Write a letter to the editor of your local newspaper or send a press release to local news organizations to put public pressure on them, and make it known to the entire district that your Rep. refuses to see his/her constituents. You can also post things on Facebook and Twitter. - Prove a point. In the past, coordinators have held their own town halls, invited the Rep. (who refused to show), and signified the absent Rep. with a cardboard cutout, or empty chair, etc. Constituents show up to ask questions to the missing Congressman, while you film the entire thing. A couple of local coordinators also made large milk cartons and put the Rep.’s face on the side with a, “Missing: Have you seen this man?” sort of thing. Have fun with it! FILM EVERYTHING!! Above all else, film everything! If you go to the office to try and see the Rep. and they refuse, you’ll want that on film! If you hold a people’s town hall where the Rep. rejected your invitation, you’ll want to film the voters in his/her district simply trying to get answers from their supposed Representative, but not succeeding because the Rep. couldn’t be bothered to show up. And finally, if your Rep. does hold a town hall, go there and film it all! Especially film the people that are demanding that Congress cut spending!! All of this footage can help you when the election comes, if you’d like to replace your Rep.
Keep making calls. We know it seems like the calls do not make a difference but they do. We hear it repeatedly when we are in DC from staffers that the calls and especially the local office visits make a difference. GET YOUR PEOPLE THERE! The left is already making their own plans to attend these town halls, to get their message out. DO NOT LET THEM STEAL THE SPOTLIGHT. If there is a townhall, make it your priority to get as many patriots there as possible!! One of the core values of Tea Party Patriots is Constitutionally-limited government. Preaching to the choir and posting on FaceBook about these attacks on the 2nd Amendment will not stop the anti-gun agenda that is being waged at all levels of government. 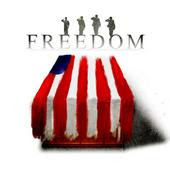 By turning this passion into action, below you will find a brief overview of what is being done to combat this full frontal assault on our 2nd Amendment and what action you can take to help stop it. At the State level, many states are introducing legislation that would forbid any diminishing or infringement of our 2nd Amendment rights. In Ohio, State Senator Kris Jordan has announced he will be introducing legislation in the Ohio Senate that will closely resemble a pro-2nd Amendment bill recently introduced in Wyoming.When this bill is introduced in Ohio we will forward the information and ask that you call state legislators to encourage its' passage. There are numerous County Sheriffs across the U.S. that have stated they will not implement or enforce any laws that violate our Second Amendment. There has been a push in Ohio for people to contact their local county sheriff encouraging them to do the same. With liberal Cuyahoga County Executive Ed Fitzgerald recently firing our highly respected County Sheriff, you can be sure any replacement will be in step and under the directive of the anti-gun agenda already prevalent in this county. It is at the local level where you can make an immediate impact in defending our 2nd Amendment rights as it is at this level where most anti-gun legislation can be enacted with the least amount of media coverage and fanfare. Furthermore, it is at this level where many of the anti-gun crowd is already mobilizing. NY Mayor Michael Bloomberg's "Mayor's Against Illegal Guns" (MAIG) group has been discreetly working at the local level to abridge our "right to keep and bear arms." from across the country at the Conference of Mayors held in D.C. membership to this group grew by over 400,000 Mayors. There are currently many mayors from cities & townships across Ohio that have joined Bloomberg's Mayors Against Illegal Guns -- and this is where YOU can immediately start to defend your 2nd Amendment rights by putting your passion to action! Below you will find two paths to take to stop the Anti-Gun Agenda from being implemented at the local level. See if your Mayor is a member of Mayor's Against Illegal Guns by clicking here. If your Mayor is a member, work must start immediately to stop any further implementation of MAIG's Anti-Gun Agenda. 1.) Contact your council members or township trustees to see if they are aware your Mayor is a member of MAIG. If so, ask if they supported his signing on and ask they assist you in having the Mayor rescind his membership immediately. 2.) If you Mayor and Council members/Township Trustees refuse to do so, contact your friends and neighbors and begin a campaign of phone calls, emails, letter writing. Circulate a petition asking your Mayor to immediately remove your City as a member of this group and present the petition at your next Council / Township meeting. 3.) 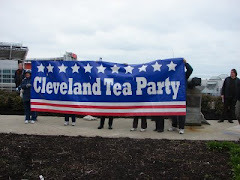 Please notify us at clevelandteaparty@gmail.com so we can support and help with your efforts. If your Mayor is not already a member of MAIG, be pro-active and ask that your council members or township trustees immediately pass a Resolution in support of our 2nd Amendment rights. We have a template resolution supporting the 2nd Amendment that is suitable for passage at the local level. 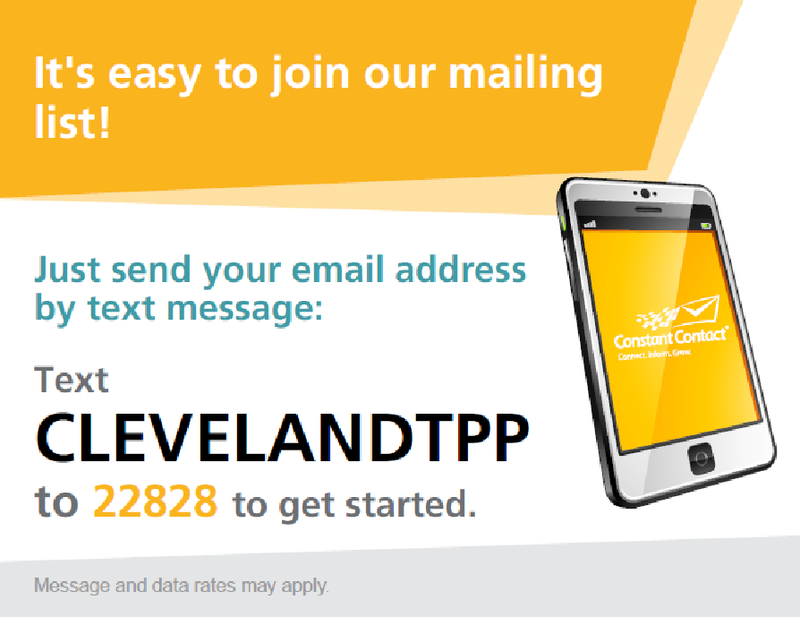 If you are willing to ask your Council or Township Trustees to pass a resolution supportive of the 2nd Amendment, please contact us immediately at clevelandteaparty@gmail.com so we can support your efforts. With many local elections taking place this year, this will also let you know where your local elected officials stand on the 2nd Amendment. Cleveland, OH. - Today, Tea Party Patriots, the nation's largest tea party organization, responded to President Obama's press conference on the debt ceiling. "Again taking hypocrisy to new levels, President Obama, in his recent press conference, spouts off about our country not paying our past debt, while he himself continually refuses to take any meaningful steps to prevent us from incurring more debt with his irresponsible and out of control spending habits," said Ralph King, Coordinator of Cleveland Tea Party Patriots and State Co-coordinator (OH) for the Tea Party Patriots. The Senate has refused to put forth a budget in over three years, and this administration just acknowledged they will again miss the deadline for a budget this year. "It is this complete disregard for their responsibility as elected officials, and abuse of hard working taxpayers, that continues to be a drag on our economy and stifle any meaningful growth that would put our country back on track to prosperity," stated Marianne Gasiecki, Founder of the Mansfield Tea Party and fellow State Co-coordinator. Every dollar increase in the debt ceiling is another dollar stolen from our children and from young people who aren't even old enough to vote. We must stop splurging on ourselves and sending our children the bill. Deadbeats and addicts ensure they get their own 'fix' and leave their children to waste away. A government addicted to spending cannot long last without overdosing and going bankrupt. We need to stage an intervention to change our government's spending habits, and we need it now. "Sustainable development" may sound good, but. . . Our friends in Streetsboro are hosting a meeting to educate Ohioans on Agenda 21. The featured speaker is Don Casey, who has studied Agenda 21 for twenty years and was instrumental in Alabama’s successful passage of Senate Bill 477. Most of you are aware that Cleveland is an Agenda 21 city, Cuyahoga County is an Agenda 21 county, and multiple initiatives are already underway. (This is not a left/right party politics issue; see also: democrats against UN agenda 21.) And Streetsboro is just south of the Ohio Turnpike, accessible to Cleveland and Akron-Canton. This is an educational event, and nobody needs to be educated more than our elected representatives who can prevent this socialist collective regionalism from spreading and destroying our liberty. Please consider contacting your local elected representatives and inviting them to attend this event. We wish to include ALL elected officials -- Democrat, Republican, or other -- at this educational forum. That would include your county commissioner, township trustees, city or village council members, as well as your state and federal representative and senator. The building hold 1,600 people, so there is plenty of room to bring a friend or two as well. Invite your neighborhood. There will be handout materials available for everyone. This event is being held at STRINGZ & WINGZ Z-PLEX Centrally located to Cleveland, Akron, and Youngstown Just a short drive from the Ohio Turnpike exit at 480 STRINGZ & WINGZ is a full menu restaurant and bar and you can have lunch on site if you so desire. Though this is a FREE event to convey important information, but there will be a donation jar available to help cover the cost.